The story of Roc-a-Fella records is a story we all know, if not by detail, then by theme: the drive to win, to overcome hardship, and ultimately to succeed. 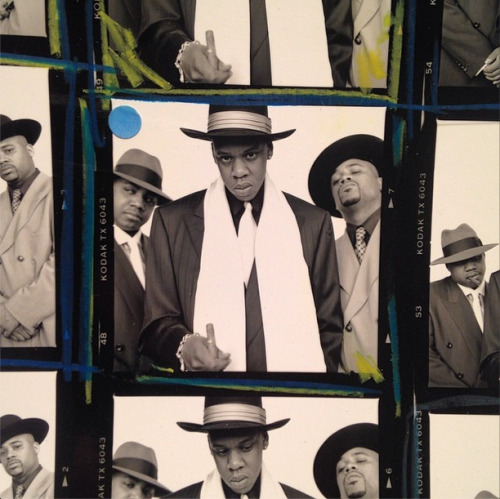 Founded by Kareem Biggs Burke, Dame Dash, and Jay Z, the label kicked down the door in 1996 with Jay Z’s debut album, Reasonable Doubt. 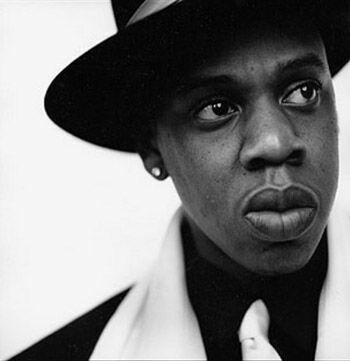 Today, Reasonable Doubt is considered a seminal work in hip-hop and by many, Jay Z’s best album. Each track is a masterpiece of storytelling, taking the listener inside the mind of a hustler in a way that had never been done before. It was an album that birthed a new era in pop culture. Roc-a-Fella records would grow on the back of Jay-Z’s music and the collective’s entrepreneurial bent. The trio capitalized on the success of the music to expand into new businesses like fashion, film, and even professional sports. As they expanded to other verticals and continued to grow their label, the influence of Roc-a-Fella records continued to permeate culture in America. Their clothing line, Rocawear, would come to dominate fashion, while the label continued to sign new artists like Kanye West and Rihanna. Although the label and the trio has since disbanded, Roc-a-Fella records lives on through a number of ventures started by each co-founder after parting ways. Biggs continues to carry the torch with two recent ventures, Fourth of November and Roc96. Fourth of November is a new denim line while Roc96 is creating merchandise and experiences to commemorate the 20th anniversary of the release of Reasonable Doubt. After a successful West Coast celebration, Biggs brings the festivities to the album’s native grounds of New York City. Curated by Anel Pla and powered by Fancy, the legendary D&D Recording Studios is being recreated as a pop-up shop art exhibition. Douglas Grama, owner of D&D Studios, re-builds an authentic replica of the infamous Studio B Control Room. Surrounded by original equipment, attendees will be taken back in time to a gritty NYC studio in 1996. The reproduction features the original working multi-track, cut-rate mixing boards (that the album was recorded on), an old wooden TV on which it stood, and the faux wood paneling-which created the apex sound of East Coast hip hop. Shoppers will not only be immersed in music, fashion and art, but will be introduced to a unique and interactive retail experience. New "Reasonable Doubt" collaboration merchandise will be unveiled and to further elicit the celebratory appreciation of the album, Fancy has produced five innovative and luxurious brand collaborations including ISHU, LSTN, VNYL, Curioos, and Moreca Atelier. Each pays tribute to Reasonable Doubt. The Limited Edition ISHU Scarf, which comes in a signature box, features the groundbreaking ISHU Anti Flash Technology designed to block flash photography, giving you back control of your privacy. Bump to Jay Z’s album with LSTN sound ebony wood headphones, that are customized with the Reasonable Doubt 20th year anniversary logo. Other items include a unique Reasonable Doubt Vinyl Turntable by VYNL, artwork and print-outs by Curioos, which resemble images of Jay Z, the album’s cover art and a custom luxury duffle bag with the tag-line “Can’t Knock The Hustle” by Moreca Atelier. TSE, Solloshi and Bailey’s Hats brands will also be on hand at the event. The invite-only preview party on Oct 19th,will kick off the celebration. Guests will be greeted by the sounds of DJ Premier while enjoying hor d'oeuvres from Mama Sushi, cupcakes by Tonnie's Minis, and curated cocktails by D'USSÉ. On October 20th, the public will enjoy the official opening. Best of all, shoppers will enjoy a special DJ line up featuring Reasonable Doubt and other Roc-A-Fella tribute sets,beverages by Just Water, while capturing all the fun with Metroclick's custom interactive photo booth. The Reasonable Doubt pop-up, located at 347 West Broadway (btwn Grand and Broome), will be open on October 20th –October 23rdfrom 11am- 7pm. Entry tickets can be pre-purchased at http://fancy.to/roc96pre which can also be used towards purchasing items at the pop-up. Every pre-purchase ticket comes with acredit towards a T-shirt.